Look what arrived in the post this morning. This book doesn't seem to be available at yesasia, but you can get it at Amazon jp. 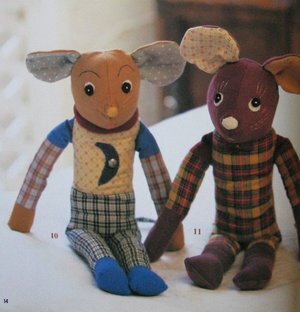 There are lots of lovely patterns ( approx 20) , some pretty, some not so pretty, but all cute. love the hobby horse. love those cutie japanese creatures! love visiting your blog --always fun. I love the elephants and the kitty. Can't wait to see what you do with them. They all seem to have autumnal colors, I like that. 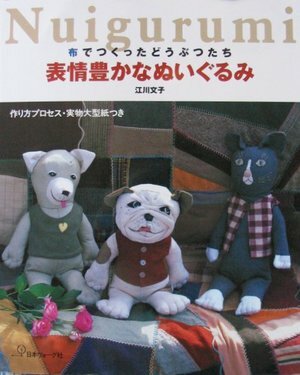 That cat is v-cute, but the bulldog on the front cover looks as though he has a bit of a problem with someone! Can't wait to see what you make from the book. sigh~too cute! 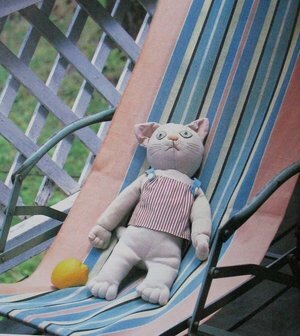 LOVE the kitty lounging with the..is that a lemon? :D thanks for sharing! What cuties! Hey, I just bought a slew of plaid flannels at my new favorite quilt shop. Maybe they will assemble themselves into one of those marvelous mice or enchanting elephants! 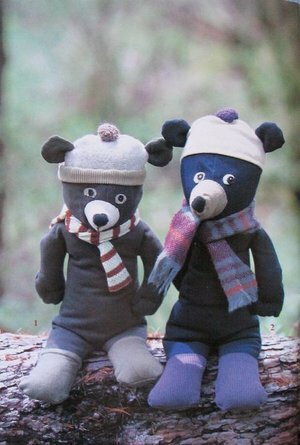 Double drat, I suppose I will have to sew them myself. Too many good ideas, not enough time. I love those little characters! Is it impossibly expensive to order from amazonjp to the US? Of course that would assume I could order from the site which I can't translate!! Any advise? 6:20 too EARLY? omg no! please. it should be encouraged. in fact, today a friend offered me a beer at noonish. i looked concerned, "a beer! what time is it?" "what time is it?" he repeated. "it's AUGUST. that's what time it is." Great book. 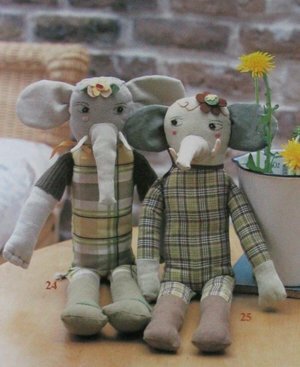 I love the mice and the elephants.